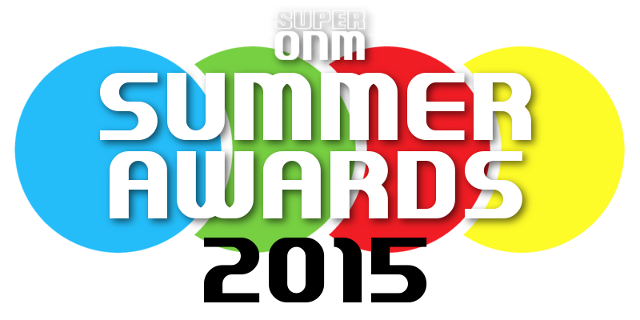 Welcome to the Super ONM Summer Awards 2015 Results! The votes have all been counted and verified, and we're ready to reveal the winners. We'll be announcing the top 3 one category at a time, so stay with us throughout the night and feel free to join in the conversation and comments after every result! If you missed out on the voting, or are just wanting a reminder as to what the SONM Summer Awards exactly are, then read on. From celebrating the best signatures and avatars your fellow forumites have on display to deciding on the board's biggest rivalry or picking your favourite forum game from the last year, there are plenty of award categories and a diverse selection to hopefully cover all corners of the community. Of course SONM is not exactly like ONM, so there are a few new awards amongst the old, including an award dedicated to the SONM Network community youtube channel. Also new this summer are the profile badges that the winners will receive. There are badges up for grabs for 1st, 2nd are 3rd place in all the categories, and these will be given out as the results are announced, so hopefully they will add a little more excitement and prominence to SONM's first summer awards! Here is the full list of awards - we'll fill these in with the winners as they are announced! Got big money riding on this. Is it too late to bribe the officials? Don't overrun into Bake Off because I want to see both and I can't multitask. Live from the Internet, it's the SONM Summer Awards 2015! Of course they're late. THANKS GUYS. 19:03 and no results, disgusting. 3 minutes late, you're going to overrun into Bake Off! That wasn't even witty or funny, I'm sorry. Fashionably late as always, we're off! Congratulations to our first three winners in the SONM Summer Awards 2015 - your badges are on the way. What will be up next in just a few minutes time? Fruit can't win an award. The rng was a bad idea, blame OR. I politely request a recount. At this rate not only will it not end by the bake-off it might not even be done by the end of it! I feel really bad for EE right now. Please no Bake Off spoilers, I may not be able to watch it until 9. They make lots of cakes. It's actually biscuit week so pls stop embarrassing yourself. Apparently this is my responsibility now, blame OR. A recount is already underway, something's definitely gone wrong here.